It’s normally Liverpool players who are the victims of shameless tapping up from the Nou Camp. But now, all Liverpool’s major players are happy and we have both the financial and footballing clout to keep them. 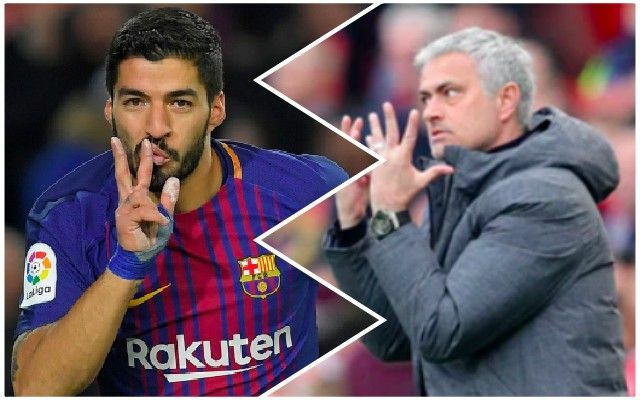 Instead, Manchester United’s Paul Pogba is a potential Barcelona target, and ex-Liverpool star Luis Suarez, who was also lured by Barca of course, wants the Frenchman to join him. “Pogba’s an elite player who’s won everything,” Suarez told RAC1, translated by the Mirror. “He has a lot of quality and he’s one of the references at United. Pogba is hot and cold for United, but he’s still their best player by some distance, we’d suggest. They’d be much weaker without him, especially should Jose Mourinho eventually leave and be replaced by somebody capable of unlocking his potential – such as Frenchman Zinedine Zidane. For this reason, we hope the midfielder does kick up a fuss and demand an exit, as any Old Trafford turmoil is good for Anfield. We’re currently six points ahead of United after four games, but have a very tricky run of fixtures after the international break with which to contend.